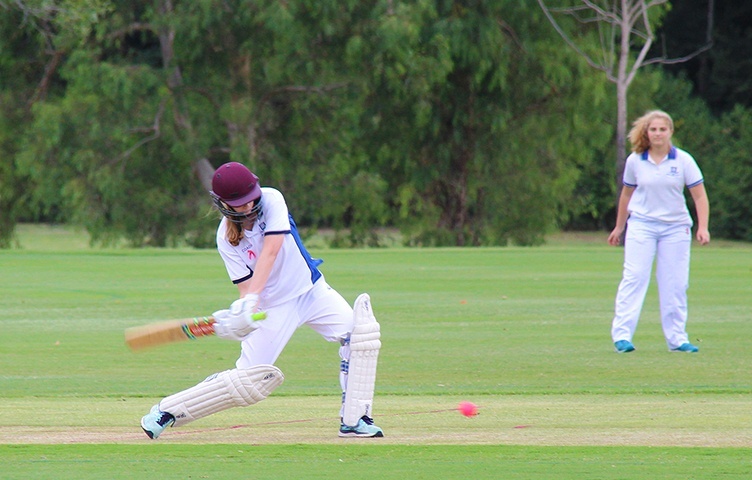 On Wednesday 20 February, the Girls Grammar Cricket squad hosted their seventh annual Pink Stumps Day at Rangakarra Recreational and Environmental Education Centre. More than 50 student cricketers and supporters attended during the afternoon, along with parents, staff, alumnae and friends of the School. 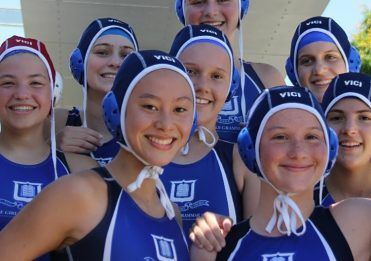 The main event, held on the Daphne Welch Oval, was an all-star game between two teams of current and former Girls Grammar cricketers, led by 2018 Cricket Captains, Hannah Ralph (12M) and Grace Choo (12M). Alumnae and Queensland Fire players Kirby Short (2003) and Josie Dooley (2017) provided valuable experience and encouragement to current students, while Mr Jim Griffith, from Marist Brothers College Rosalie, shared sage advice with umpires and regaled attendees with stories from his long experience with Rangakarra fields, and Cricket in Brisbane more broadly. 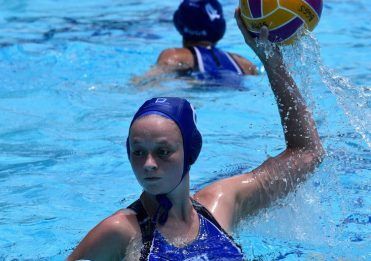 The 1A and 2A teams both won their QGSSSA games at Rangakarra, while the 1C team lost against a strong Brisbane State High School side. The Pink Stumps initiative supports the McGrath Foundation, who provide support and care for women who are experiencing breast cancer, and their families. The Mothers Group coordinated a ‘pink’ afternoon tea to raise funds for the charity. Following the games, a pink cricket ball signed and donated by Glenn McGrath went to auction, and was won by an enthusiastic cricket supporter. The School thanks all students, staff, and supporters who contributed to and attended this successful and enjoyable event. 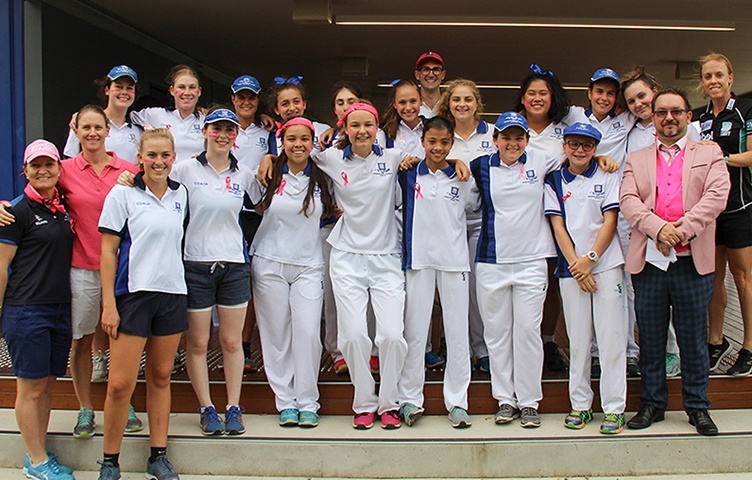 Girls Grammar cricketers and supporters at Pink Stumps Day. Girls Grammar cricketers in action.